Exercising on a vibration plate can lead to faster results in a shorter time – as long as you do the right exercises in the right way. Often, not achieving the desired results from using a vibration machine is fixed by learning how to maintain correct form and doing targeted exercises. 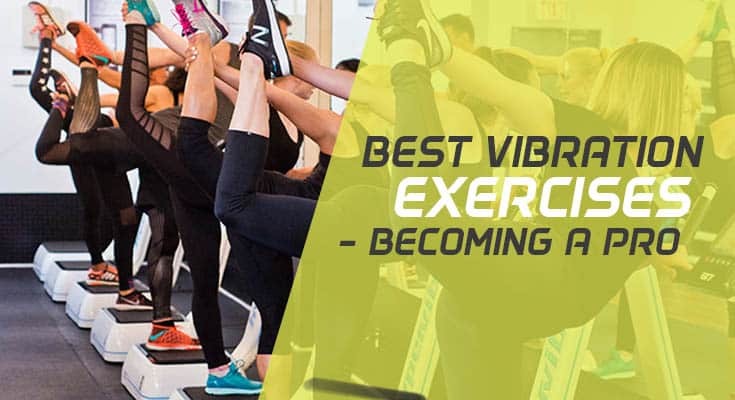 The most effective way to work out on a vibration machine is to do a combination of exercises that train your flexibility, core, and overall strength. Addressing each of these aspects in your work out will help you achieve your fitness goals. Whether you’re new to vibration machines, or a seasoned pro, read on to familiarize yourself with some of the best vibration machine exercises that you can do and how to do them properly. Carefully read through these 6 vibration plate exercises. Remember to maintain your form and keep each exercise short – 30 seconds is already enough. The great thing about doing leg exercises on a vibration machine is that even the easiest exercises are more intense and effective. See how your legs become toned faster with simple lunges and squats. Lunges are also a great way to become more flexible in the hips while squats are good strength training, not just in the legs but also your core. Training your core reaps benefits for your entire body. A strong core gives you better balance, posture and overall body strength. Planks and bridges are exercises that you will feel in all the muscles of your body but especially in your core. These two exercises test your endurance in straining positions. You might find that these particular exercises are easier with a full-sized vibration machine such as the Confidence Fitness model. Many vibration machines come with straps that you can use during your exercises, or you can buy them separately. These straps are a handy way to work on toning your arms. A row is a similar movement as you would perform on a rowing machine, hence the name. On a vibration plate, you can use the provided resistance bands or use hand weights to build more muscle. Gently lower your body by sinking through your elbows until your chest is barely touching the vibration plate. Approach a vibration plate like any other fitness machine; with a plan and taking care not to injure yourself. Correct form is extremely important in vibration plate exercises because it minimizes your risk of injuries and yields the best results. Just like you shouldn’t set a treadmill to its highest setting for your first time running on one, you shouldn’t set a vibration plate to its highest amplitude either. Get used to the motion of the vibrating machine by practicing a relaxed stance on its lowest amplitude first. 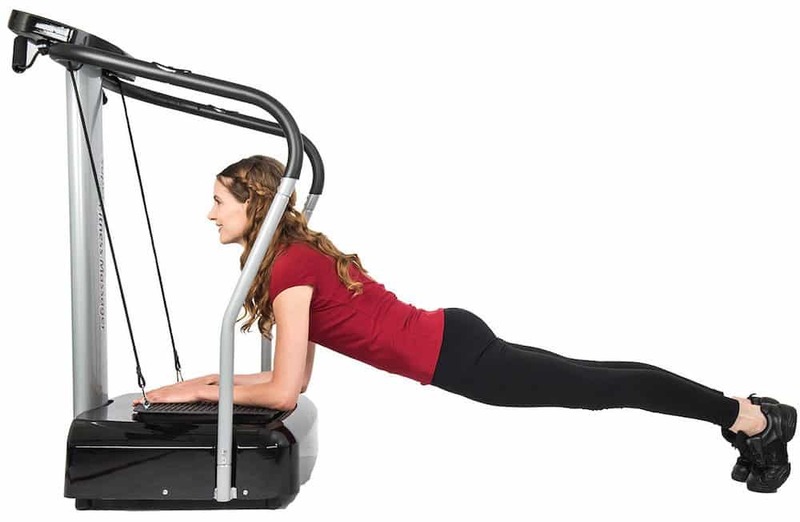 The correct form on a vibration machine is to keep your body stable throughout the exercise with the tension on the targeted muscles of that exercise. This takes some practice and adjustment since your muscles are constantly contracting from the vibrations. You cannot directly translate your body form of a floor exercise to one that is suitable for the vibration plate. Your muscles behave differently on the machine so adjust your stance to these differences. 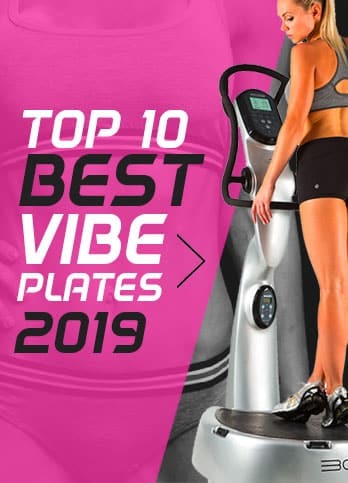 If you are only just starting out with vibration plate exercises for weight loss or body toning, it helps to take a few classes or to follow video tutorials that explain the appropriate form. Here’s an example video that is easy to follow and will ensure you have the correct posture and form before you venture off on your own. There are other things to pay attention to when exercising with a vibration plate to make sure it works effectively. These are protecting your joints and timing. Since your muscles are contracted during vibration plate exercises, the wrong form can affect your joints. Keep your knees slightly bent to avoid wearing them down. You should also adjust the time you spend on each exercise. Though experienced users can take 60 seconds for each exercise, beginners should build up to the minute slowly by starting with doing each exercise for only 30 seconds. Don’t worry if this is a much shorter time than you are used to, the intensity of the vibrations makes up for it. After all, shorter exercise times is one of the perks of using a vibration machine. James is a self-diagnosed fitness addict. After 10 years as a personal trainer he now runs several successful websites and writes for online supplement retailers.